In the article Collect and save NetFlow data with FreeBSD I describe what NetFlow is and how to collect and store NetFlow using FreeBSD. But without an efficient way to inspect the data it is practically useless. But please note that it is a guess. This was a short introduction on how to inspect netflow data with nfdump. Please leave a comment if you have any questions or suggestions. This article describes how to export and collect and save NetFlow data with FreeBSD. In this article I will use the term NetFlow as a general description of NetFlow and similar protocols like sFlow and IPFIX. NetFlow was introduced in Cisco routers 1996 and is a convenient and cheap way of storing traffic metadata centrally. In its most basic form it stores information about: src ip, src port, dst ip, dst port, number of bytes and packets. Exactly what information that is captured depends on the specific version and implementation of Netflow. Often NetFlow is collected on routers and switches in your environment. They are then exported to a central point for later use. These devices are called exporters. Exactly where you perform this operation depends on where you need visibility and on device capability. The flow records are then sent to a flow collector for later use. Flow records can be used for a number of things such as network monitoring, billing, troubleshooting and digital forensics. If a FreeBSD machine performs a network function such as a filtering bridge or router in your network you may want to also use it as a flow exporter in order to gain network visibility. The good news is that there is already support for this in the kernel together with the netgraph framework. I have honestly tried my best to understand what netgraph really is. My best description so far is that it is a framework for connecting different network functions in a arbitrary way (a graph). 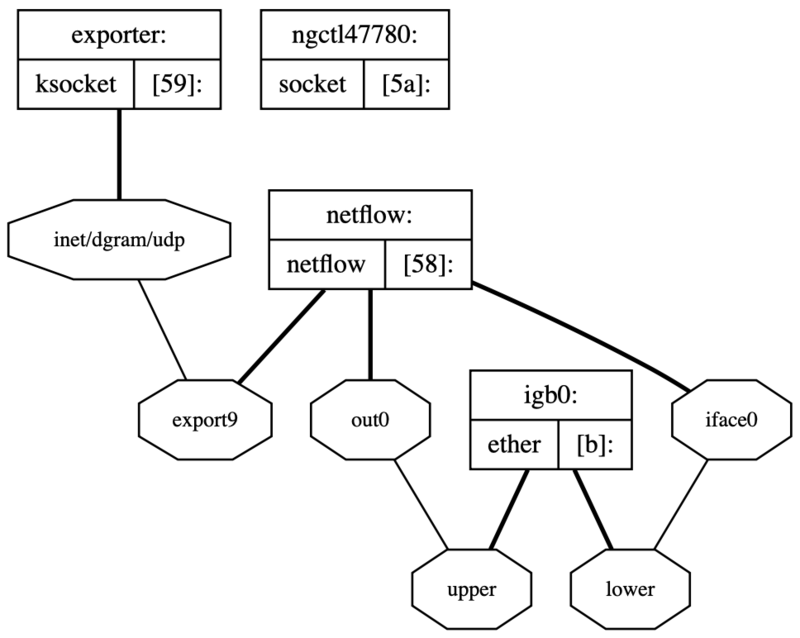 To allow for generation of netflow records you need to load a few kernel modules: netgraph.ko, ng_netflow.ko, ng_ether.ko, ng_ksocket.ko. This is a basic example from the ng_netflow(4) manual. It creates a netflow node and routes all traffic to interface igb0 through it and then routes it back to igb0. The export side of the netflow node is connected to a ksocket node which is configured to send the netflow data to 10.0.0.1 on port 4444. I have made a few changes from whats in the manual. Set conf=7 for the netflow node which tells it to export flows for both incoming and outgoing packets, by default it only captures incoming packets. Also I have also used the export9 hook in order to export NetFlow V9 data. Running nfcapd is very straight forward. This example accepts flow records on port 4444 and stores them in /usr/netflow/. -S -w and -t has to do with the rotation of saved capture-files. This article describes how to set up a Smart Card/HSM backed OpenSSL CA using a Smart Card HSM or any PKCS11 enabled device. Since some years back I use WPA2 Enterprise with EAP-TLS (Certificate authentication) for my wifi at home. Historically I have used certificates from a public CA for this purpose. This is not best practice since you don’t have control over the certificates that are issued. Also, I recently bought a new switch capable of 802.1X authentication on all ports. For this purpose I want all my machines (even those without wifi) to have certificates. So I decided to go through the hassle of setting up my own private CA. For the basic setup of the CA I followed Jamies excellent guide on setting up a CA. So in this post you can assume that all the basic stuff like folders structure and basic commands are the same. I will only show you the differences needed to have the Root CA key stored on a PKCS11 device like a HSM, Smart Card HSM or a Yubikey. I will even try to follow his topic names so you can follow along. I will not discuss the operating system part of getting PKCS11 devices to work in this article. But basically you just need to install some packages, you can read about it here. First of all we need to configure OpenSSL to talk to your PKCS11 device. This can be done from configuration or interactively on the command line. # pkcs11-tool --module /usr/local/lib/opensc-pkcs11.so -l --keypairgen --key-type rsa:2048 --label "SSL Root CA"
Logging in to "HSM 2 (UserPIN)". I will assume that you have configured pkcs11 in openssl.cnf (otherwise you will have to first run the engine command in openssl interactively before any other command). For the intermediate key pair I followed jamies guide. I need frequent access to this CA so I have decided to have the intermediate pair on file instead of HSM. 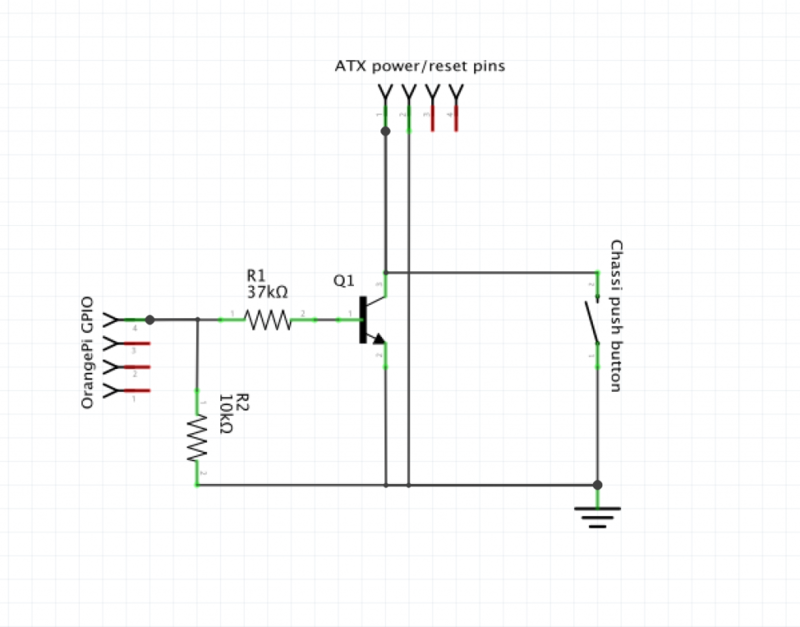 This article describes how to build your own out of band system for your home server. 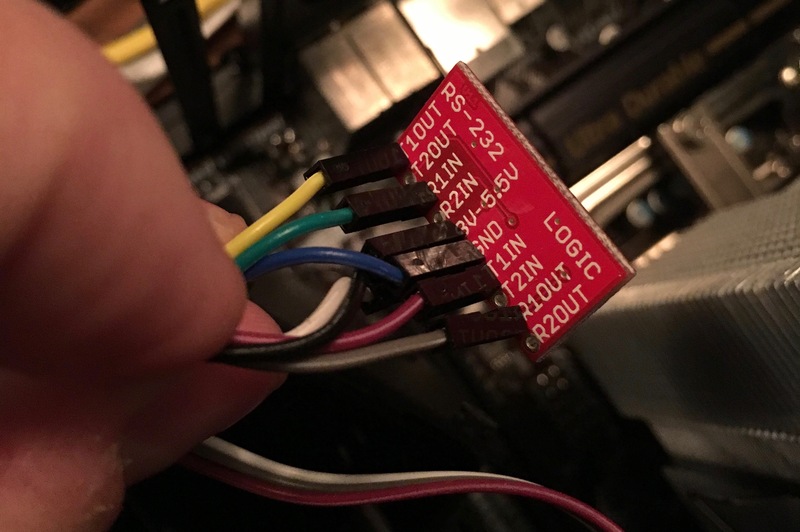 The problem for home users is that most consumer grade hardware will not have these features since the IPMI is an actual computer that sits on your motherboards (either directly or in some sort of expansion slot). I will now describe what I did to get a similar (but heavily reduced feature set) for my home server. First of all you need some hardware, this could be any small computer that will fit inside of closely to your existing server. 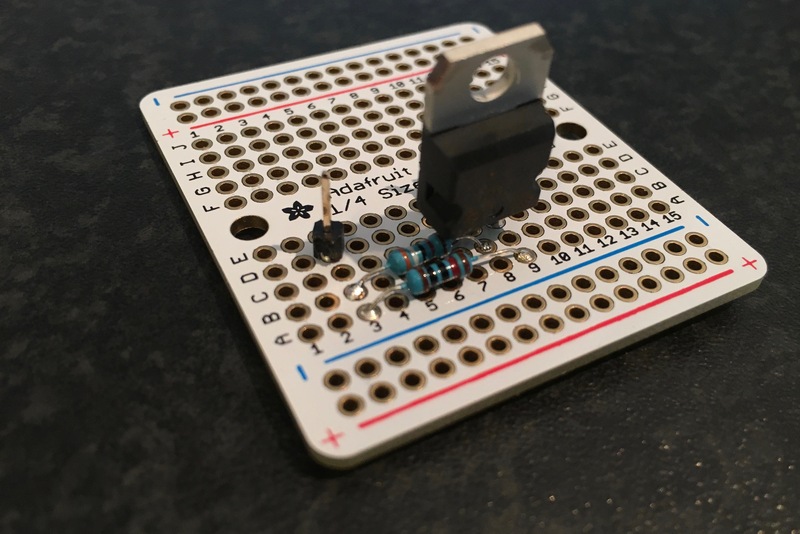 Its also very good if it could get power from the USB port of the actual server, this way you will not have to have any separate power source for your of of band, also this will have ground in the two systems at the same level which will be good later on. I use a OrangePi Zero and a case which I got off of ebay for about 10USD. Motherboards these days don’t have a external serial port anymore, but some of them have a internal one which mine luckily had. 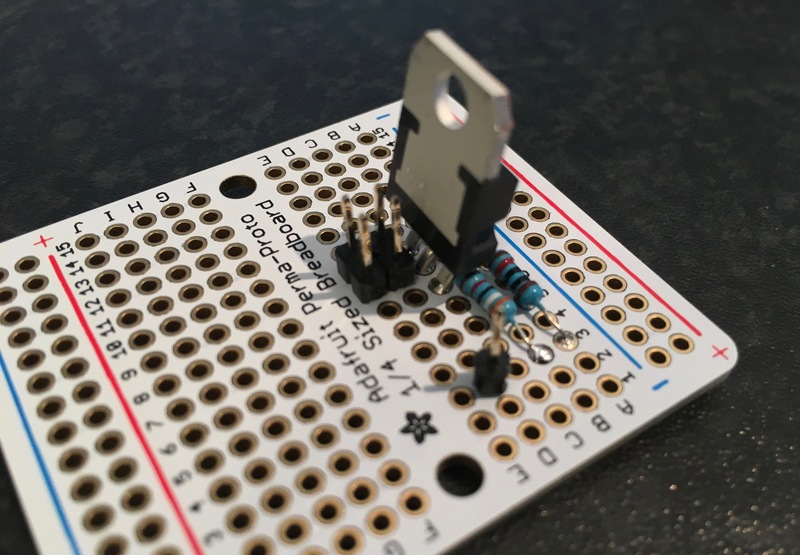 But to hook up the serial interface of the computer which is a RS-232 interface to the TTL serial interface of the OrangePi I needed to do some conversion or you will damage your Pi, I use a MAX3232 in a package from sparkfun to do this. Just hook upp RX/TX and GND (and 3-5.5V to power it) of both systems to the MAX3232 and you should be good to go. Notice: that if you use the primary serial interface of your Pi you can run into problems if both systems are booting at the same time, because they will interpret each others boot messages as input and will most likely hang the boot. This is one of the most important and also interesting parts of the project. 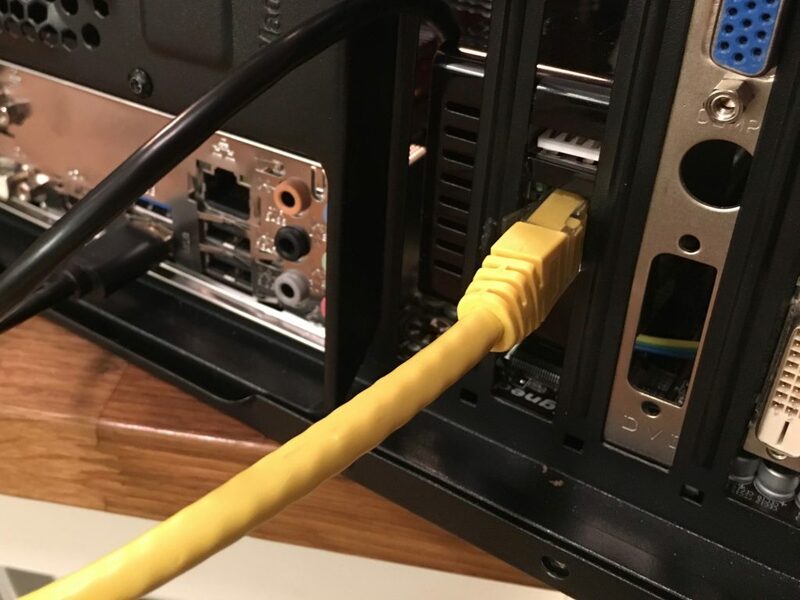 To have console access to a server is pretty common and I have also described this in another “out of band” article where I use console access for my router. The lonely pin is where I connect the GPIO on my OrangePi and to the four other pins I connect the power push button on my case and the pwr+,pwr- pins on the motherboard. I have not yet written any scripts and so on but it’s really easy to use use standard CLI commands in FreeBSD to control the GPIO. This project took me about 3-4 evenings to finish including a lot of trial and error in the beginning and now I have a system where I can actually from a remote location reboot my server. I also get console access early enough to change the options to the kernel or even change kernel before booting. Since I spent only about 25USD in total on this project I’m really satisfied with the result. We will have to see how good it actually works in a real situation, like a kernel panic or whatever. This is a variant of the ReverseProxied solution from pocoo. As it depends on __call__ being called inside a wsgi environment, it does not work when the app is being run standalone with run(). Passing the http header X-SCRIPT-NAME to the app creates the value HTTP_X_SCRIPT_NAME in the environ variable. This article describes how to verify SHA256 hashes verbally more easily using sha2wordlist. If you are working with security you may have encountered situations where you wanted to verify a hash “out of band”. This could be done in many ways. Secured secondary chat channels or https enabled websites. But sometimes this would be done verbally over the phone or to an audience. Im pretty fascinated with the security model used to secure the private keys used to sign the root zone in DNS. They meet four times a year for a carefully scripted ceremony where they take out smart cards, HSMs and so on from safes locked in cages. During these ceremonies there is several situations where hashes need to be verified by the participants. It would be pretty hard to do this directly using the actual hash consisting of 64 random hex numbers. One solution to this problem (and the one that is used in the DNSSEC ceremonies is to convert the hash into a list of words in a predictable way. When I found this out I got really interested and I tried to find a good description of this on the web. First I found out about the PGP Wordlist which is basically a smart way to turn data into words. The words in these wordlists are chosen for their phonetic distinctiveness which give less room for error. You can read more about the history of this system on Wikipedia. Then I tried to find a small program that did this convertion but without any luck. So if you know of something like this, please tell me. But what I did find was a small program sha2wordlist that does exactly what I want. It takes data on stdin and outputs the SHA256 hash and the PGP words. This program is written by Jakob Schlyter who is a OpenSSH developer and co author of many (according to me) important RFCs. He is also one of the co authors of the original practice statement for the “Root Zone KSK Operator”. I couldn’t find any packaged programs like sha2wordlist or a packaged version of sha2wordlist itself for that matter. So I decided to make my own port of it and contribute it to FreeBSD. It is now avilable to install using ports/security/sha2wordlist. Binary packages will be available soon.